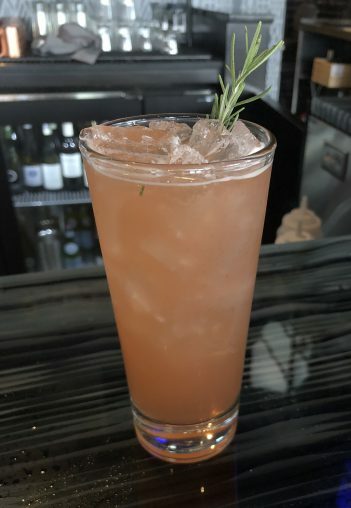 Combine rosemary and demerara simple syrup in a shaker glass and muddle. Add remaining ingredients into shaker, add ice, shake and double strain into a highball glass with ice. Garnish with a rosemary sprig.